HOW TO HEAL UNRELATED SITUATIONS IN MY LIFE? My life is going bad, nothing is working and I do not know if I will continue in the job I am. I wake up at night with my heart beating very fast and I feel like I'm going to die, I do not know if it's a heart problem. My husband is having some problems too. 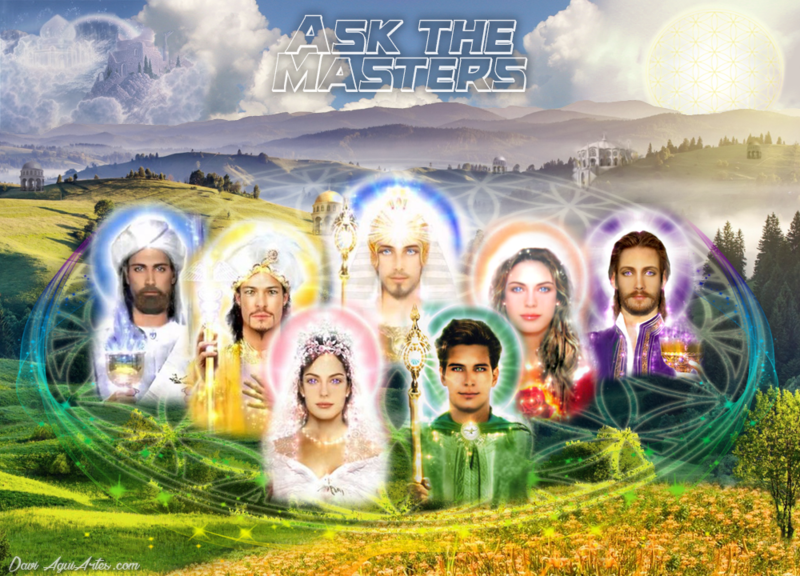 I wanted help from the Masters to show me what I need to know, to improve and heal these situations. Gratitude! 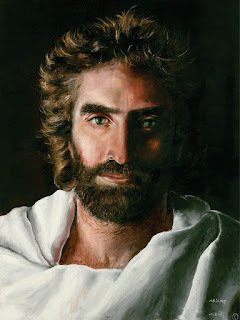 My sister, today I would just like to remind you of something basic that beginning that Jesus came to teach us, so that we can simply trust, learn, follow the flow of life, knowing that we will always have the best for our growth. This fear you feel turns into anxiety and even into despair is nothing more than forgetfulness of this state of confidence. We are not always in control of life, daughter. Life leads us to paths that our mind does not conceive and the lesson that anchors at that moment is so that it rightly leaves this state of certainty, of control, of wanting to know the next step. What do you think of trusting in divine providence and surrendering to the faith of Mary? Knowing that you do not know your own future, just ask for help and know that you will be helped in God's time. Take the test, but for this you need to trust and surrender your life, let it develop naturally. Be in peace. Masters, gratitude for this opportunity to speak with you. Beloved ones, I have a hard time letting go, letting things happen as it is, I need a little control and I think that ends up harming me in my financial life. How to let go of my life? I've been so lost, wanting to know my purpose in life that I let the anxiety and worry overwhelm me, moving away from the source. Thank you for always being with me. Namastê! May the blessings of love fill your body, your mind, and your heart. Daughter, I came to speak to you especially today, to bring a teaching about meekness. You, dear daughter, anticipate the facts in your mind, looking there in the future and not letting the natural flow occur. But, notice my darling, that every time you project your thought based on concern, you are manifesting fear in the future. Fear and insecurity of the present use anxiety to project into your future more fear and insecurity, manifesting all your fear into reality. You, in this way, create parallel realities and come to live inserted in them in a multidimensional way and bringing suffering to your present. The effort that will be necessary in the present to manifest a future different from the one that has created will be much greater, where it always gives the impression that it tries so much and always in a very exhausting way to reach a goal so small in its eyes and does not perceive the life thrive. My dear, just work the meekness on your present. Remember the feeling I have towards you, my children, that seeing you inserted in your own walks and many suffering, I still radiate in you my peace and my love. So we assist the next one who comes to us for help, keeping us in our state of meekness so that we can definitely help, only with the radiate of our calm energy and acceptance of the present even in the midst of a whirlwind of troubles that assaults the mind of each of you. In that same way, my dear, you must learn to do with yourself, seeing you as a loved one and needing only calm and staying in the present moment. I'll tell you something, daughter. Whenever you ask, I'll be there. Whenever you think of me, I too will radiate calm, love and peace for you. Whenever you need it, you will be provided with everything you need for your walk. Just trust that nothing will be lacking. Deliver your heart and your yearnings in my motherly heart and in the hands of God and we will take care of your walk with love, bringing to your path only the necessary learning for its evolution, but providing it with all the resources necessary for occurring this process, because that's the reason you're here. Trust and deliver, my dear. Masters, I thank you for the opportunity to be supported by you. In my family we are going through a very difficult situation with my sister. My mother is getting sicker and sicker because of this situation and my father is not doing well either, although he has tried to hold the bar. After situations involving theft, car crash, among many others, we are in doubt about what to do with my sister. We do not know if it is merely spiritual, whether it is drugs or even a mental disorder. We fear losing her, or my parents in one of these outbreaks. My parents are thinking about interning her. Which is very sad for us, for her, and I do not know if it is right, if it is a solution, since we know how much drugs in those places are able to silence someone's soul. Please, if you could give me a direction, I really wanted to be able to help. My sister, what happens to your sister is precisely the obligation that imposes on her to be as they would like and that it fits in the familiar molds. This is the fear you have and cannot transcend. If you act with indifference, letting it free for she to discover about herself, so that it is natural even if the natural is not the same as yours. His sister, daughter, breaks the pattern of the family constellation. But she is not having the balance to free herself because the pressure they make on her is great, even threatening her to take her freedom. Her inner struggle is for the pursuit of her freedom, although she is in a moment of imbalance, precisely because the pressure was great to keep it in the social molds. If you really want to help her, release her, do not get into the emotional game and get help with homeopathic and floral medicines that will help you anchor your balance again. But if you wish to help, it will not be through the imposition, but the indifference, the unrestricted freedom so that it feels the weight of life and make its own decisions and suffer the consequences of it. By releasing your family commitment and helping you to anchor your balance again, you will help something that needs to be released not only in you, but in each family, including your parents. Not all truths we are ready to hear, but in time you will understand those words. Be in peace. Good morning, beloved Masters. It was because your words touched my heart, that I resolved my recollection within him, to try to reconnect with my essence, trying to find my mission. I have hesitated, sad, the next day he tried to get up again. Although in the midst of so much uncertainty, something seems lighter in my heart. A lot has changed in the last few months. I have felt a little stronger, even though I wiggle with the feeling of being lost more and more. I started a relationship with a person who seems to me to be a very good being who has made me feel like meeting me, loving myself and fighting for my dreams. All that made me question, again, my work. I was without a room to attend again, I am looking for a new job (I thought of something related to the writing that I love) to have a better situation and to be able to invest in my work as a therapist, which is I truly love, but I confess that I have been asking in the last weeks if it would be my way. Beloved ones, this feeling of living in the city I live, no longer makes sense, that maybe I need to expand my horizons and seek something in another city is real? Or is it an illusion? I really want to hear my heart and everything seems to invite me to live something new. I want to be happy. I want to put my talent in the world. I want to have a good relationship with my life mate. Please, guide my heart, that he can always be my guiding star. Gratitude! Daughter, seek a mental response to your life. You want a path that you know will lead you to a comfortable life with no challenges. Wish we could tell you what to do. But we would be taking away your opportunity for learning, your chance to choose for yourself and empower yourself. The spirituality of the new age, daughter, will never tell you where to go and what to do. It will only encourage you to enter the stream, to get out of this mental process that resides doubts and uncertainties. The path of the new age spirituality is the transition from fear to trust, and that is what you should pursue, just that. You need to understand that it does not matter what you're doing, where you are, for all this, say just about your human personality. But if you come out of fear and walk in confidence by observing the signs and letting them guide you, you will truly enter into the flow of that magnificent energy that is trust. Learn, daughter, that matter will always lead you to these questions. But when truly anchoring in the heart, they cease to exist because happiness will radiate you and will be your greatest guide. Transmute, daughter, of this fear, of this uncertainty and give your life. Release, let it transition to a lighter state. But for this he needs to let go, to get rid of attachments. Just let go and be at peace.